This is my first post on my brand spanking new Wordpress blog!! Hello world!! 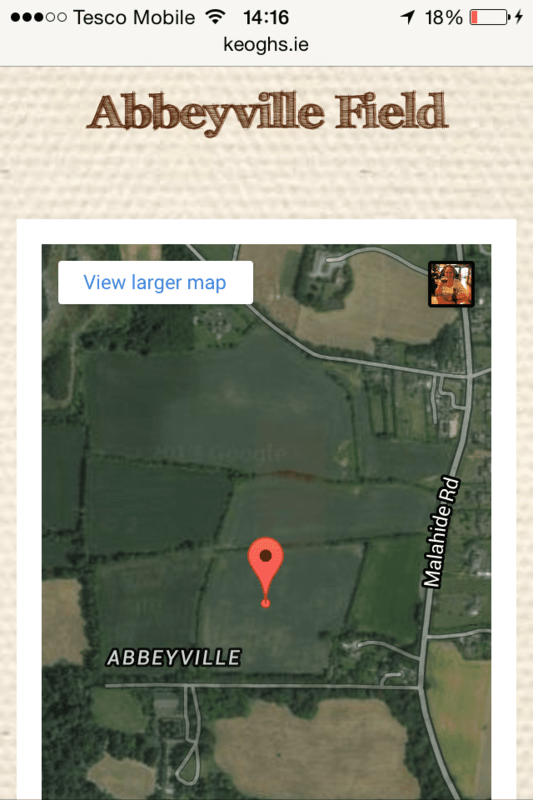 It’s not fully configured yet so apologies whilst I finetune the design! Up until now I was blogging on Blogger but recently moved to WordPress. After the usual football training I popped in into our nearest shop ( a petrol station) and got a few items. I’d seen these potatoe bag shaped products but wasn’t so sure what was in them. I passed them again today and then realized there were crisps packs in them. At a favourable rate of 3 € for 6 I bought them. I was now rather curious how they were going to taste! 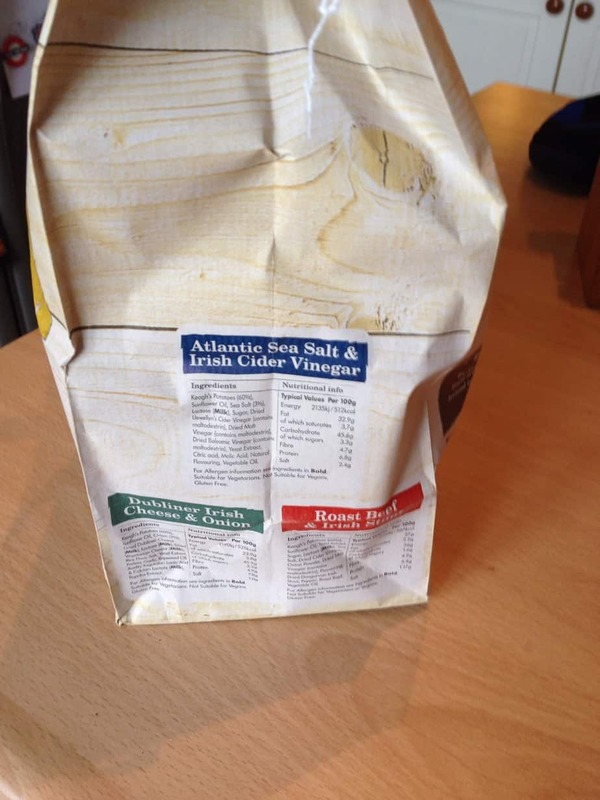 There are 3 flavours, Dubliner cheese & onion, Roast Beef & Irish stout and also Atlantic Sea salt and Irish vinegar. I choose the cheese and onion flavoured crisps and they were light, crispy and my tastebuds were having a feast! The fact that they are hand cooked gives them a unique look which is very different than the mass produced ones. 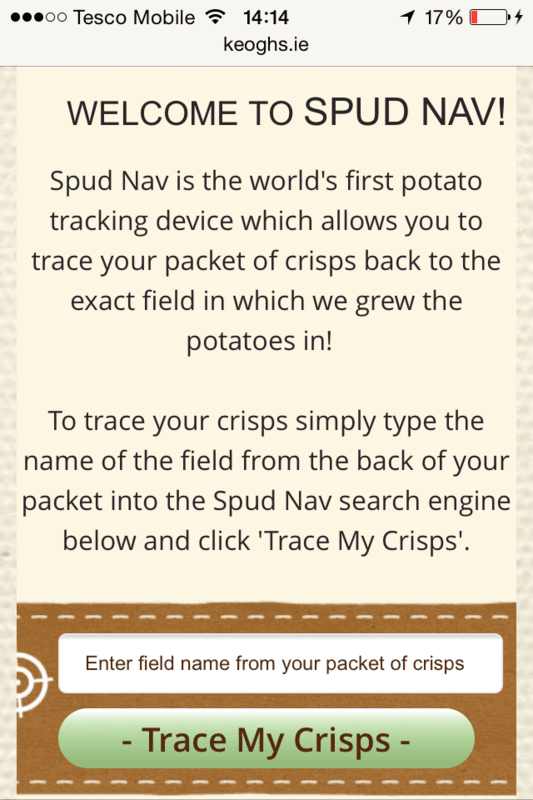 As I was reading the writing on the fast emptying crisp bag, I spotted that they have track & trace system that tells you from which potatoe field your crisps came from. 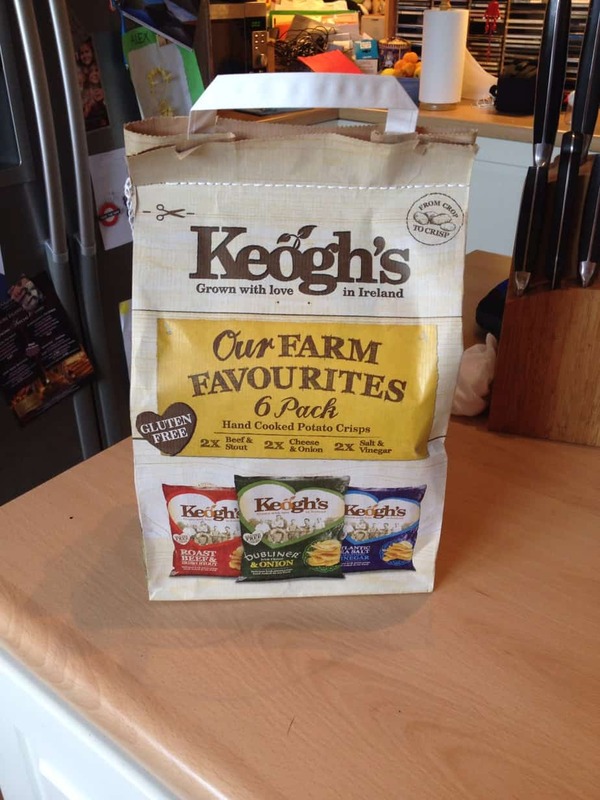 I admit I hadn’t really heard about Keoghs before , but thanks to their innovative packaging & Spud Nav I think it’s an awesome product and would recommend you try them! I uploaded a few on Ebay- just click on the link below! They won’t last very long this weekend as we are having a bank holiday on Monday!